This article provides step-by-step instructions for starting and running a small (2-20 unit) condominium homeowners association. Is a condominium homeowners association necessary? How can one determine if a homeowners association already exists? If no formal HOA exists, should one be created? When and how must a small homeowners association register and file forms with governmental agencies? What tax returns must a small homeowners association file and what taxes must an HOA pay? When should a small homeowners association have its first owner meeting, and what should it do during that meeting? How does a small homeowners association call and conduct an owner meeting? How does a homeowners association governing board call and conduct a board meeting? How should a small homeowners association create its budget and collect owner dues and assessments? What records must a small homeowners association keep and what reports must it make to its members? How can a small homeowners association fine and discipline owners and otherwise enforce its rules? Much of the information is applicable to smaller condominium homeowners associations throughout the world, but the article is primarily directed to groups in the United States. Since approximately 60% of the author’s practice involves California, the article provides specific examples of California law shown in italics. Yes. The association carries out the obligations of the condominium owners as a group, some imposed by its documents, some imposed by law. The primary obligations are maintaining the common areas, establishing and collecting assessments, conducting meetings, and enforcing the governing documents. It is a mistake to assume that because no “official” association entity has been formed, or because the condo owners have never formally recognized themselves as an organization, that there is no homeowners association. Once a property has been subdivided into condominiums, and at least two condos are owned by different people, a homeowners association exists. Neither the existence of the homeowners association, nor its basic obligations, depend on the creation of a corporation or other legal entity. But the creation of a legal entity often adds to a homeowners association’s responsibilities by imposing additional meeting, recordkeeping, governmental filing, and taxation requirements. As a result, it is important to determine whether the HOA is an informal association of owners with no separate legal existence, or a formal legal entity. To determine whether a homeowners association is an independent legal entity, begin by trying to find a document that formally creates a legal entity (such as Articles of Incorporation) with a governmental stamp or other official acknowledgement, or determine which governmental agency accepts such filings (in California, it is the Secretary of State) and check that agency’s official records (which can often be done through the agency’s website). In most places, the fact that a condominium declaration has been recorded and has a recorder’s stamp does not necessarily mean that a formal legal entity exists; it is the filing of Articles of Incorporation or an analogous document, not the CC&Rs, that creates the formal entity. California is an exception to this general rule; there, a homeowners association is considered to be a formal legal entity, called an unincorporated association, even if no Articles of Incorporation are filed. If no formal homeowners association exists, should one be created? The question of whether a condominium homeowners association should form a corporation or other formal legal entity, or should convert from one type of entity to another, depends on the laws and customs of the place where the property is located, the homeowners association’s size and function, and the additional costs and burdens that creating the formal legal entity will impose on the owners. The homeowners association should exist in a form that best protects the owners from liabilities, enables it to open bank accounts, and allows it to easily obtain critical services such as utilities and insurance. It is also beneficial for the homeowners association to exist in a form that is widely accepted by lenders, so that condo buyers will have the maximum choice of lenders and loan products. But all of these potential benefits must be weighed against the costs and burdens of creating and maintaining the entity, such as filing fees, taxes and tax return preparation, recordkeeping, and decision-making formalities. 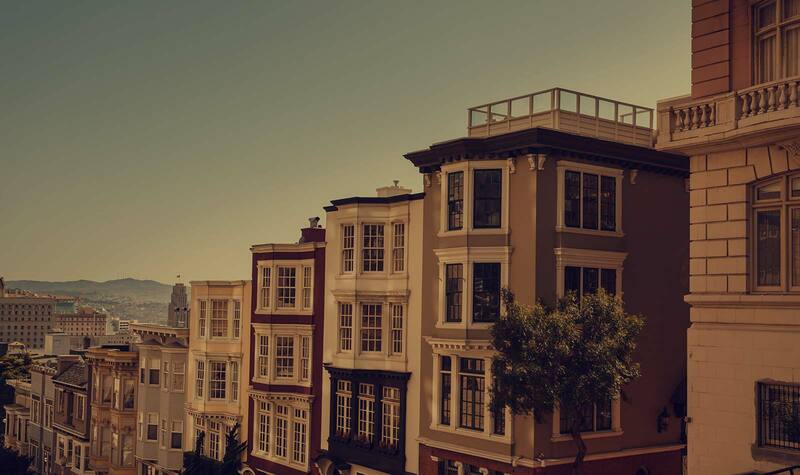 California law gives condominium owners in unincorporated homeowners associations a relatively high amount of liability protection provided the association carries a specified level of liability insurance. The statutory liability protection is ample for associations up to 12 units, but probably inadequate for larger homeowners associations, meaning that California homeowners associations involving more than 12 condominiums should incorporate. As to smaller California homeowners associations, it is relatively easy for unincorporated associations to open bank accounts and obtain utilities and insurance, so the additional burdens of incorporating, although relatively light (see below), outweigh the benefits. In some places, like California, a homeowners association is considered to be a formal legal entity, called an unincorporated association, even if neither the developer nor the condominium owners file or do anything to create it.But in most places, the original developer or the owners must file Articles of Incorporation or an analogous entity formation document with a governmental agency if they wish to create an association with a legal existence that is separate from its members. This type of filing is also necessary if the owners want to convert the association from one type of entity to another (e.g. from an unincorporated association to a corporation). Note that, contrary to common misconception, obtaining a tax identification number and/or a fictitious business name does not turn a homeowners association into a formal legal entity. In California, a homeowners association that wishes to be incorporated forms a type of entity called a nonprofit mutual benefit corporation. To do this, the developer or the owners file Article of Incorporation with the Secretary of State, and pay a small filing fee. Although homeowners association registration and filing requirements vary from place to place, the following generalized list includes the steps that are required in most places. Creating A Legal Entity: As discussed above, creating a legal HOA entity is optional in most places. But where a formal legal entity is required, or where it is optional but the developer or owners want to create one anyway, they must file Articles of Incorporation or an analogous entity formation document with a governmental agency. Establishing Authority: When a homeowners association files Articles of Incorporation or an analogous formation document with a governmental agency, it establishes who can accept legal papers on its behalf and who has the authority to sign checks and contracts. This happens automatically because the information is contained in the required filing or specified by applicable law. But when a homeowners association does not file a document creating a formal legal entity, it is often unclear who is authorized to act on its behalf, and this lack of clear authority can sometimes discourage vendors and other service providers from working with the HOA. Many places allow an unincorporated and other informal homeowners association to file or record forms that establish who is authorized to act on its behalf. In California, an unincorporated homeowners association may file Articles of Organization with the Secretary of State or, alternatively, a statement specifying who has authority to accept legal papers on its behalf. California also allows an unincorporated homeowners association to record a Statement of Authority with the County Recorder of the county where the condominiums are located in which it reveals who has the authority to sign checks and contracts on its behalf. All of these filings are optional, and most California homeowners associations find them to be unnecessary. Obtaining A Tax ID: A tax identification number (commonly known as an “Employer Identification Number” or “EIN” in the U.S.) is a number that identifies the association for tax purposes. To get an Employer Identification Number in the U.S., the developer, an owner, or a manager simply asks the internal revenue service to issue one. The request can be made online, in which case the number is issued instantaneously. In California, incorporated homeowners associations are required to have an EIN, but it is unclear whether this is necessary for unincorporated associations or for associations with no formal legal identity. Where a tax ID is optional, the homeowners association must weigh the benefits of getting one against the burdens of having one. On one hand, the tax ID will make it possible to open a bank account without using the tax ID of the owner or manager. On the other hand, it may force the homeowners association to file tax exemption requests and tax returns that it would not otherwise need to file (see discussion below). Establishing Nonprofit Tax Status: In most places including throughout the U.S., a condominium homeowners association qualifies as a nonprofit organization that is exempt from all or most income and franchise taxes. But establishing the tax-exempt status of a homeowners association sometimes requires filing a form or application. For U.S. federal tax purposes, a homeowners association establishes its nonprofit tax-exempt status by filing a Form 1120H with the IRS by the 15th day of the third month after the end of each tax year (although there is a 12-month grace period). This is required for an incorporated homeowners association, but probably optional for an unincorporated or informal one (the law on this is unclear). If the homeowners association has a tax ID, it is best to file the Form 1120H to avoid the risk of penalties. For California tax purposes, an incorporated homeowners association should also obtain California tax-exempt status, but an unincorporated homeowners association generally should not. An incorporated homeowners association benefits by saving the annual $800 franchise tax, but this tax is not payable by an unincorporated homeowners association. Moreover, tax-exempt status creates an additional filing burden on homeowners associations with average owner dues collections of more than $25,000 (see discussion below). To obtain California tax-exempt status, the HOA must file a Form 3500 with the California Franchise Tax Board 90 days before the end of the first year the HOA exists (although FTB can issue the exemption retroactively). Unlike the Federal Form 1120H, the 3500 is a one-time filing and need not be repeated each year. Annual Registration: In many places, homeowners associations are required to file an annual statement with a governmental agency to register and perpetuate its existence. This requirement is often (but not always) separate and distinct from tax-related filing requirements. In California, incorporated homeowners associations must file two forms of this type: (i) it must file a Form SI-CID with the Secretary of State annually within 90 days of the anniversary of the filing of its Articles of Incorporation; and (ii) it must file a Form SI-100 annually with the Secretary of State on the same date. Unincorporated California homeowners associations (regardless of their level of informality) are only required to file a Form SI-CID, and need only do once every two years (in July). Tax treatment of homeowners associations varies from place to place, and it is worthwhile to speak with a local attorney or accountant about the tax requirements for your homeowners association. If you attempt to do your own research, be sure to check requirements on all governmental levels, meaning country, state or province, and city or town. In the U.S., incorporated homeowners associations are required to file annual federal tax returns. The best practice for these homeowners associations is to file as a Section 528 nonprofit homeowners association using a Form 1120H. This filing is due annually by the 15th day of the third month after the end of each tax year. No federal tax will be due so long as the only income the HOA receives is owner dues, and so long as it uses all of this income to pay operating expenses and accumulate reserves. U.S. filing requirements for unincorporated and informal homeowners associations are not clear. Many of these associations file no federal returns, without any consequence. However, this becomes more difficult and risky if the HOA obtains an Employer Identification Number, which creates IRS awareness that the HOA exists and an expectation that it will file a return. If the HOA has an EIN, it is best to file the Form 1120H to avoid the risk of penalties. In addition to federal tax obligations, U.S. homeowners associations may have state tax filing and/or payment obligations. In California, a homeowners association’s annual tax filing requirements are: (i) incorporated homeowners associations that have not obtained tax-exempt status (see discussion above) must file a Form 100 with the FTB by the 15th day of the third month after the end of each tax year and pay a minimum tax of $800; (ii) homeowners associations (incorporated and unincorporated) that have obtained tax-exempt status file a Form 100 only if they receive more than $100 in income from sources other than owner dues and assessments; and (iii) homeowners associations (incorporated and unincorporated) that have obtained tax-exempt status and have average income (including owner dues) of $25,000 or more must file a Form 199 with the FTB by the 15th day of the fifth month after the end of each tax year. As a practical matter, very few homeowners associations are required to file Form 100 (because they are tax exempt and their only income is owner payments), and only larger homeowners associations are required to file Form 199 (because their average annual collection falls below the $25,000 threshold). Note that the need to file Form 199 does not mean that tax is due, and no tax will be due so long as the only income the homeowners association receives is owner dues, and so long as it uses all of this income to pay operating expenses and accumulate reserves. Larger homeowners associations (incorporated and unincorporated) generally have an elected board of directors or other governing body that is allowed to make most (but not all) decisions. Having a governing board allows a larger homeowners association to operate more efficiently by avoiding the need to convene a meeting of all owners each time a decision is required. Not all homeowners associations have a governing board, and it is necessary to check the CC&Rs and bylaws to determine whether a particular HOA has one. If the condominium governing documents state that there will be a board, it should be elected at the first owner meeting. The number of board members, qualification of candidates, nomination system, and election procedures, will be described in the CC&Rs and bylaws. In some places, there are laws relating to some or all of these issues and, depending on the quality and age of the governing documents, they may or may not comply with current legal requirements. As a result, the best practice is to periodically consult a qualified attorney or current reference book to ensure that the homeowners association is complying with both its own documents and the applicable law. It is common for condominium governing documents to provide for election of directors by cumulative voting. This means that each owner is allowed to cast a number of votes equal to the number of directors to be elected, and may choose to cast more than one of such votes for a particular candidate. For example, if three directors are being elected, an owner could choose to cast all three of his/her votes for one person. Cumulative voting is intended to give a dissenting minority of owners the power to elect a director to represent their viewpoint on the board. In California, associations with 500 or fewer members are given wide latitude regarding the number of board members, qualification of candidates, and nomination procedure. But California has recently enacted extremely complex and burdensome laws regarding election of directors (discussed below) that effectively require advance nomination and a high degree of formality. The difficulty of complying with these requirements probably outweighs the advantages of having a governing board for homeowners associations with less than 12 owners. In an Association with a governing board, the board typically elects the officers. But when there is no board, the owners elect the officers directly. The number and duties of officers, qualification of candidates, nomination system, and election procedures, will be described in the condominium governing documents. These tasks can be broken up and assigned to separate people. The responsible person for any particular task can be an owner or a paid manager. The tasks can be rotated. The key is that someone specific is responsible for each task, knows exactly what he/she is expected to do, faces consequences if the job is not done. What does not work over the long term is “we’ll just all pitch in” management. If the owners cannot verify that all association filing and taxation requirements (discussed in detail above) have been satisfied, an owner or manager should be assigned the task of satisfying these requirements (or hiring a professional to do so). Keep in mind that postponing this task can expose the association to monetary penalties. Do not assume that the developer or attorney that created the HOA has complied, or that either will be responsible for penalties resulting for non-compliance. If any of these items cannot be verified at the meeting, an owner or manager should be assigned the task of verifying them. In most places, there are laws relating to some or all of these issues and, depending on the quality and age of the governing documents, they may or may not comply with current legal requirements. As a result, the best practice is to periodically consult a qualified attorney or current reference book to ensure that the homeowners association is complying with both its own documents and the applicable law. Ironically, small homeowners associations generally have more difficulty than large ones with the meeting and decision-making process. One common source of difficulty is the failure to send each owner proper advance notice of each meeting with a full (and limited) agenda. Small homeowners associations generally assume this formality is unnecessary, with the result that meetings become difficult to organize and/or are poorly attended. Perhaps more importantly, the lack of proper notice and agenda generally makes the meeting decisions non-binding, meaning that any owner who disagrees can ignore or challenge them. Another common problem for small homeowners associations is the failure to create particular, concrete proposals on which a yes/no vote can be taken, and to clearly record the resolutions passed at the meeting in a way that can be verified. Each discussion should eventually lead to a motion. Before a vote is taken, the motion should be written down, and passed around or read aloud. These rules may seem ridiculously formal for a group of two or three owners, but in fact they are extremely effective at making owner meetings more productive and minimizing the likelihood of disputes about what was decided. California law recognizes two different types of meetings: regular meetings, which are those held on a schedule described in the condominium documents; and special meetings, which are those convened for a particular purpose. At regular meetings, matters not mentioned in the meeting notice can be voted upon so long as 1/3 of the owner voting power is represented; at special meetings, the owners may only vote on items mentioned in the agenda sent with the meeting notice. Any owner or group of owners with 5% or more of the voting power in the association must be permitted to call a special meeting by sending a written request to the board or an officer who must then send a meeting notice to all owners. If there is no board or officer, the owner or owners calling the special meeting may send the notice and agenda directly to the other owners. California law requires written notice for all owner meetings. The notice must include the place, time and date of the meeting, an agenda of the matters to be discussed and, in cases where directors are to be elected, the name of those who have been nominated. The notice may be mailed or hand-delivered, but posting the notice in the common area is not sufficient. Notices that are hand-delivered or sent by registered mail must be given between 10 and 90 days before the meeting. Notices mailed by any other method must be given between 20 and 90 days in advance. Notice is not required when the meeting is a continuation of another meeting that was adjourned within the previous 45 days as long as the time and place of the continuation meeting was announced at the original meaning. If an owner meeting is held without proper notice, any decision made is invalid unless every owner who did not attend the meeting signs either a written waiver of notice or an approval of the meeting minutes. California law does not impose a quorum requirement, but does provide that if less than 1/3 of the voting power is represented, the only matters that can be voted upon by those mentioned in the meeting notice. (This agenda-only restriction applies to all special meetings, regardless of attendance level, but only applies to regular meetings if less than 1/3 of the voting power is represented.) Owners unable to attend the meeting in person may participate in meetings through electronic means, delegate their voting power to others, or vote by written ballot. Decisions may be made without meetings if a written ballot is distributed that describes each matter to be voted upon, the manner of indicating approval or disapproval, the response deadline, the number of ballots to needed to satisfy the associations quorum requirements, and the number of votes required for approval. The association must prepare and maintain minutes of all owner meetings, and make these available for owner inspection. California has recently enacted extremely complex and burdensome requirements for meetings at which directors will be elected, governing documents will be amended, or exclusive usage rights to common area will be granted to a particular owner or owners. The Association must designate either one or three election inspectors to supervise the vote. These inspectors may be owners provided they are not on the board. Voting must be by secret written ballot sent 30 days before the voting deadline. The ballot may not identify the owner by name, unit number, or otherwise. It must be sent with two pre-addressed envelopes and instructions. The ballot must be inserted into one envelope that is then sealed and inserted into the second envelope. On the second envelope, the voter prints and signs his/her name, and provides his/her address and unit number. The voter then mails or hand delivers the second envelope to the election inspector(s), who must count them in an open meeting of the board or owners. The ballots must be retained for one year and available for review by owners. There is no exemption from these requirements for smaller associations, and failure to follow them allows a court to void the election results and oppose monetary penalty on the association. For homeowners associations with governing board, the CC&Rs or bylaws will contain requirements for calling and conducting a board meeting, and these will typically cover the issues listed at the beginning of the preceding section. As with owner meetings, most places have laws relating to some or all of these issues and, depending on the quality and age of the governing documents, they may or may not comply with current legal requirements. As a result, the best practice is to periodically consult a qualified attorney or current reference book to ensure that the homeowners association is complying with both its own documents and the applicable law. Minutes of each board meeting should be circulated to each owner within 30 days of the meeting. Many of the above requirements do not apply in “Emergency Situations” and “Executive Sessions”. Emergency Situations are circumstances that could not have been reasonably foreseen and that require immediate attention and possible action. Executive Sessions are meetings in which the board considers litigation, formation of contracts with third parties, owner discipline, personnel matters, or to an owner’s payment of assessments. Special board meeting requirements apply to Emergency Situations and Executive Sessions, and boards should consult an attorney if these circumstances arise. Keep in mind that a small homeowners association (including a two-unit association) needs a properly prepared budget, including an accurate reserve calculation, even more than a large association, because a shortfall in association funds will have much more immediate and drastic effects when there are fewer owners to absorb it. It is risky to assume that either you or the other owner(s) will always have the funds available to make up a shortfall or respond to a funding emergency. Also remember that buyers and lenders will expect adequate reserves, and an owner who becomes accustomed to paying low dues will not be receptive to suddenly funding the missing reserves in order to help another owner sell or refinance. The condominium documents will generally describe the actions that the homeowners association is permitted to take when an owner does not pay dues or assessments. But the association’s remedies are limited by law in most places. The most common limitation is that nonpayment cannot trigger a “forfeiture”, which includes any remedy under which the non-paying owner automatically looses his/her condominium and investment. On the other hand, the law of most places allows non-payment to trigger a process under which the non-paying owner’s condominium is sold on the open market, provided that the defaulting owner gets to keep any amount of the sale price left after paying costs of sale, mortgages, legal fees, and debts and penalties to the HOA. This forced sale process (often called “foreclosure” in the U.S.) is usually non-judicial, meaning that the homeowners association does not need to go to court at any point during the sale process. A homeowners association that wants to collect unpaid dues or assessments through non-judicial foreclosure typically hires a trustee or foreclosure service to handle the sale and collection process. Note that a forced sale is only useful if the value of the defaulting owner’s condominium is significantly greater than the amount of the mortgage; otherwise, the proceeds from the forced sale, after payment of costs and mortgage, may not be sufficient to repay the owner’s debt to the HOA. The law of most places also allows the homeowners association to record a “lien” against the non-paying owner’s condominium, an inexpensive and quick procedure that ensures that the association will automatically receive its money when the condo is sold, and gives the HOA preferred repayment status if the defaulting owner files bankruptcy. Filing a lien is a particularly useful homeowners association remedy when the defaulting homeowner is “under water”, meaning that the value of his/her unit is less than the balance owed on the mortgage. While filing the lien will not trigger immediate payment, it will increase the likelihood that the HOA will be paid eventually, while avoiding the need for the HOA to take over the defaulting owner’s mortgage. Keep in mind, however, that if the owner defaults on the mortgage and the bank forecloses, the homeowners association’s lien will be wiped out, and it will not be legally entitled to recover the defaulting owner’s debt from the lender or from the new owner. Most places have extensive legal requirements relating to budgeting, reserves and dues collection. Each California homeowners association must conduct a detailed reserve study at least once every three years that includes all of the elements described above along with a plan for funding the reserves, and must review the most recent study and funding plan annually to determine if changed circumstances or new information require revisions. California law requires homeowners associations to send each owner a copy of the operating budget and dues calculation, along with a disclosure relating to the reserves, between 30 and 90 days before the beginning of the HOA’s fiscal year. California recently developed a fill-in form for this disclosure that can be found in California Civil Code Section 1365.2.5. Replacement /reserve funds must be kept in a separate bank account, and cannot be used to pay for operating expenses except in very limited circumstances. For homeowners associations with governing boards, California law allows adjustments to the operating budget and owner dues to be made by the board, but non-emergency dues increases greater than 20% must be approved by a majority of owners. Similarly, special assessments (which are extra payments required because the budget turns out to be inadequate) can be approved by the governing board unless the amount exceeds 5% of the total operating budget. The condominium documents can (and often do) impose additional assessment restrictions and voting requirements. California law requires every homeowners association to have a written policy for collecting delinquent dues and assessments, and to send a copy of its policy to each owner every year. California law prohibits an owner from withholding a dues or assessment payment on the grounds that the owner is entitled to recover money or damages from the homeowner association, but permits an owner to dispute an assessment on other bases either in small claims court or by demanding a meeting with the board (or with all owners if there is no board). Liens and non-judicial sales are allowed for delinquent assessments, interest, late fees, collection costs (including attorney fees), and interest, but are not allowed on for fines and penalties imposed for rule violations. A decision to record a lien must be made at a meeting open to all owners, and a decision to foreclose must be made in an executive session board meeting (i.e. one that is closed to owners) unless the HOA has no board. At least 30 days before recording a lien against a delinquent owner’s condominium, the association must send a notice by certified mail that includes a variety of specific information and language. In most places, there are laws relating to some or all of these issues and, depending on the quality and age of the governing documents, they may or may not comply with current legal requirements. As a result, the best practice is to periodically consult a qualified attorney or current reference book to ensure that the homeowners association is complying with both its own documents and the applicable law. California law currently requires all of the above-listed record keeping and reporting. Although a homeowners association can bring legal action against an owner who violates its rules, this approach is often inefficient and ineffective. Legal action takes time, even when an alternative dispute resolution such as mediation or arbitration is used, and while the process is under way the rule violations tend to continue. Moreover, a court or arbitration order forcing an owner to do or not do something may not be obeyed, leading to further legal action (and frustration). For these reasons, most homeowners associations impose monetary fines or penalties for rules violations. Fines and penalties deter violations by making the consequences seem more immediate and clear, and ease enforcement by converting the dispute from one about conduct to one about money. SirkinLaw APC has been creating condominium documents, advising condominium owners, and mediating condominium association disputes, for more than twenty years. Andy Sirkin was co-author of 10 editions of The Condominium Bluebook, and his expertise in preparing condominium governing documents is recognized throughout California. SirkinLaw APC governing documents continue to be the ones other firms emulate, and Realtors, lenders and buyers strongly prefer. This leadership results from constant improvement and innovation that makes our documents easier to read and understand, as well as more efficient and less expensive to enforce.